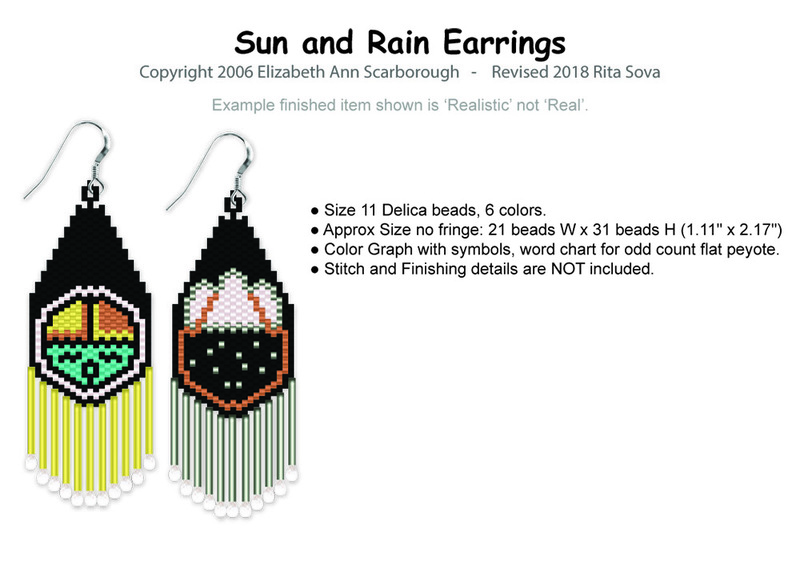 Sun and Rain Earrings go with the 'Corn Pouch' and matching 'Corn Bracelet'. I would fringe the Sun with Yellow bugles to emulate sunbeams and Silver or Crystal Bugles for the Rain earrings. Color Graph with symbols included. Size 11 Delica beads, 6 colors, DB numbers and Quantities included.